NEED help to find YOUR Best Retired Lifestyle? What will you do, all day, every day, to feel happy and fulfilled? You need purpose in life, even in later life. 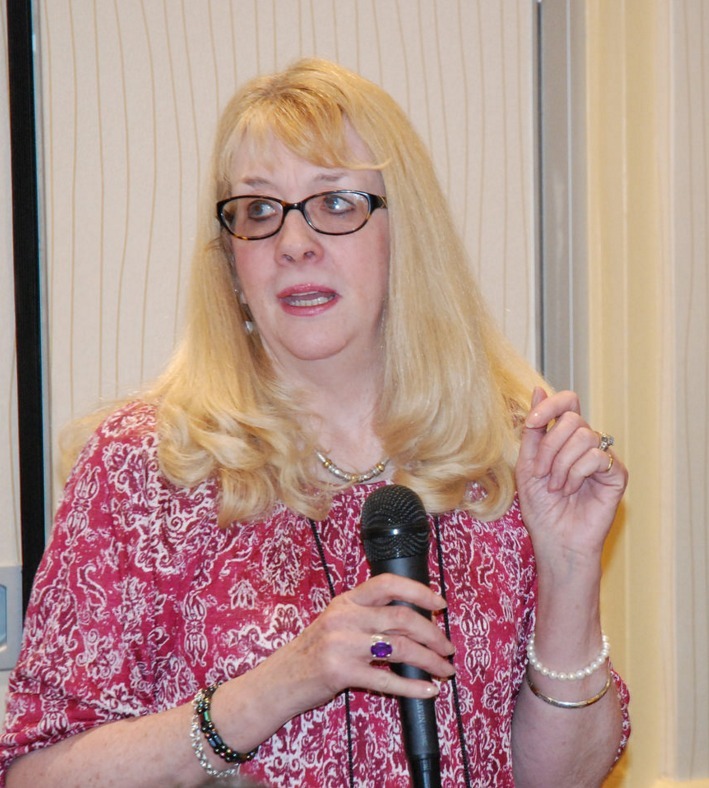 Get advice and lots of ideas from Wendy, your retirement host, and from a variety of retirees worldwide, who have "been there and done that" already! Top Ten Reasons to Retire is a free email course. If you are considering retirement or even if you are retired, it may offer that nugget of an idea that you are waiting for! 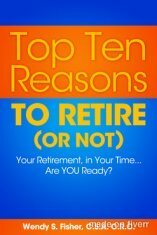 Enjoy free Top Ten Reasons to Retire (or not) email course! 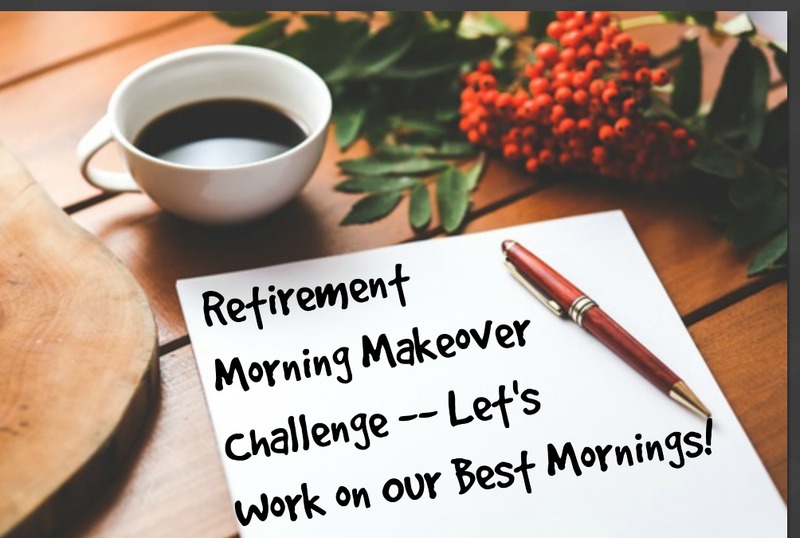 This is the Retirement Morning Makeover Challenge! This Free challenge is designed to change your morning routines and habits... a better morning leads to better retirement days! Who doesn't want that? Join Us -- learn how to manage your mornings in the best possible way! You will also get my newsletter, the Retirement Insider! First, if you are full of Retirement Anxiety, as many are, Read & Discover that You Are Not Alone! That's really important to know so you can FIND your Best Lifestyle! That's the key... Enjoy the Journey. If you don't like this new phase of life (yet), please don't assume you are alone in your negative thoughts. Many others struggle through retirement, just like you do. Get Help -OR- Pay it Forward if you can help another retiree. It only takes one persons words to help another retiree immensely! Tell me about your retirement... share your retired life and receive feedback from many others! 1) Write your story at this link. I will publish and readers can add their feedback. This has helped many retirees. Every single post and the reader comments bring new perspectives to the table. Even if all responses point in the same direction, one persons words often rock your world more than the others. You never know which post simply rings true in the heart of the writer and changes their life, simply by reading the words of another who has Been There and Done That! 2) Write to me privately here. These are easy peasy ways to get help... and maybe, just maybe, you'll get the perfect feedback, at the perfect time, to push you forward into your future years! 3) Schedule a free consultation call. Just 30-minutes of talking out the issue, with me, someone who has no agenda in your life, a brand new perspective, and understands the many nuances of retirement! There IS light at the end of the retirement tunnel where you CAN find fulfillment and joy in life! It's not about money either, though money obviously helps in dreaming possibilities. There is plenty you can do to be healthy, happy and engaged in life - without much - seriously. Retired Life - based on what we truly love in life - has got to make life just ROCK! My thought is that we live busy lives. We go through school, then we work and have families, then we retire. Let me help you live an active, engaged lifestyle, even though you are aging and slowing down a bit. You can remain smart, witty and social. You can discover real purpose for your days while helping the world for the Greater Good. (1) Register for the Retirement Insider newsletter (registration to the left) and remain connected... learn and find new ideas! Help and Be Helped. (2) Contribute your story! Get retiree feedback from those who have been there before you... AND help others who need your feedback too. (4) Ideas for Keeping Busy This is an email series with ideas to consider for retirement activity. As I find new ideas, I add emails. (5) Join the Retirement Online Community and find new friends worldwide. Safe, private community forums, pen pals, and more! (7) Learn from and give feedback to any of the personal retiree stories on my site. Don't miss these personal submissions as they've helped many before you! Find new retiree submissions here! Already Retired - You are retired, settled into your new lifestyle, maybe for many years now, and simply seek new friends, and new ideas on how to change your retired lifestyle! Join the private Retirement Community (above) to find new interests, chat with other retirees, and simply enjoy life while sharing life! This site supports retirees in finding perfect-for-you, purposeful lifestyles. Find solutions to your most pressing problems... and kick retirement anxiety to the curb. I want to help you consider your options for a lifestyle that is all about YOU. 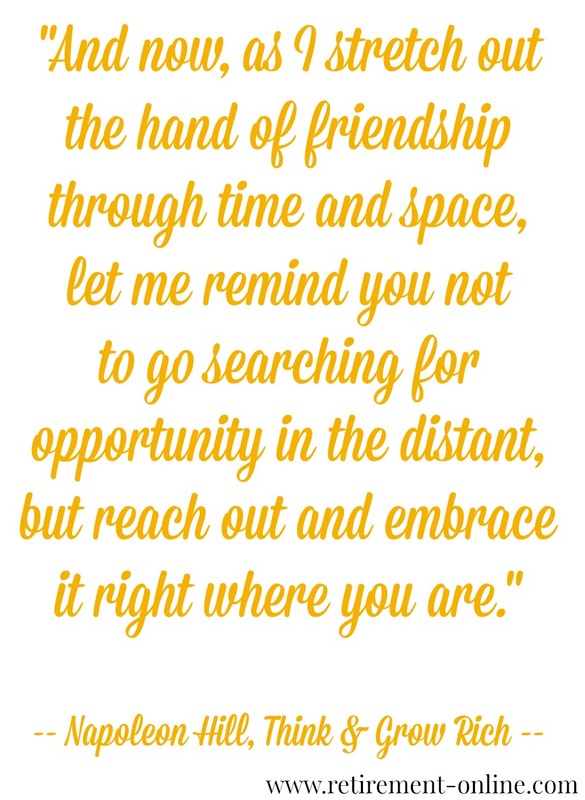 I sincerely hope you find the nugget you need to carry you forward in retired life! Please get involved to learn more about your own retirement, share your retirement problems, and help other retirees simply by sharing and commenting on their pages. We can do this, TOGETHER! It's time to Get Real! We still have lots to contribute to this world! To a Happy, Productive Retirement! P.S. I retired in April 2010 after twenty-five years as a Retirement Manager (and 35+ years with my local government employer). Post-retirement, I have worked on this website. More about me here. As a retirement enthusiast for over 30 years, I have experienced my own retirement transition and many others too. I survived and you will too. Oddly enough, I am learning more about the REAL "me" now, in retirement. Why did it take me all these years to stop and think about ME! ?